How do you guys like your noodles? I am a big fan of noodles. I’m a noodle lover. 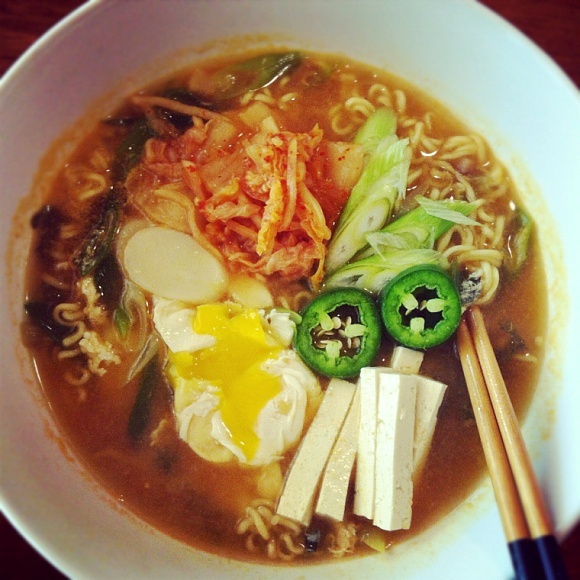 So anyway even though I love all kinds of noodles, my all-time favorite is Korean spicy instant ramyeon noodls. It’s just very comfort to me because I grew up eating it and of course I love the spiciness! You can put any kinds toppings you want, cooking time is only 5 to 7 minutes and it’s freaking easy to make, even a little kid can do it! But, there is trick to make this ramyeon noodles, and there is a few ways to make Korean spicy instant ramyeon noodles even more delicious! So, what is your favorite noodles? Please share with me comment below, I would love to know what kinds of noodles you love and enjoy! I love noodles too! I think my favorite is Udon when I am cold and don’t feel well. It’s so comforting. I also like cold somen when it is hot outside. I really want to try really good Ramen but we don’t have good Ramen shops here so I just make it at home.